Kory Kaplan is a Las Vegas native whose practice areas include complex civil litigation, business litigation, and personal injury. Mr. Kaplan has extensive experience representing clients at both the state and federal trial court level as well as appellate proceedings. He also has experience representing and counseling clients in regulatory and transactional related matters. Mr. Kaplan received his Bachelor of Science in Economics with a minor in Statistics from the University of California, Los Angeles in 2010. He then went on to the University of Arizona where he received his Juris Doctor in 2013. While in law school, Mr. Kaplan gained exceptional experience working as a legal extern under the Honorable Jackie Glass and the Honorable Ron Israel. After completing law school, he worked at the Las Vegas law firms of Gordon Silver and Gentile Cristalli Miller Armeni Savarese. Mr. Kaplan is an executive committee member of both the Litigation Section of the State Bar of Nevada and the Young Lawyers Section of the State Bar of Nevada. Mr. Kaplan has been honored by Legal Aid of Nevada for his pro bono and volunteer efforts. 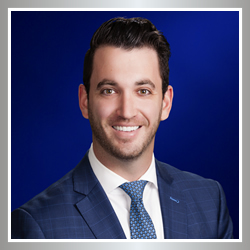 He has also been featured in Nevada Business Magazine Legal Elite as a Best Up and Coming Attorney and Mountain States Super Lawyers as a Rising Star. He was also recently selected as one of America’s Top 100 High Stakes Litigators.